The leader of United States Strategic Command at Offutt Air Force Base has a new job and it means a new mission for USSTRATCOM. Its commander is now in charge of consolidating the United States’ nuclear components… Those forces include land-based long-range missiles, submarine-based missiles and bombers that can go anywhere in the world. 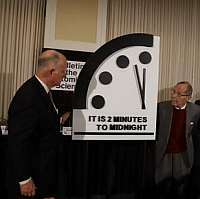 For decades those options developed fairly independently of each other, but not anymore. 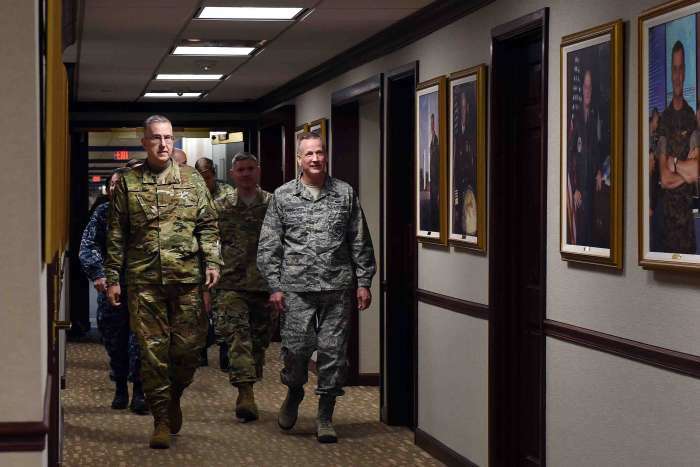 – KETV News Photo: U.S. Air Force Gen. John Hyten, commander (USSTRATCOM escorts U.S. Air Force Gen. Terrence O’Shaughnessy, commander of NORAD through USSTRATCOM headquarters.